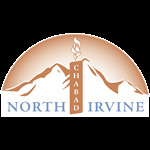 Please join us for a delicious Kiddush immediately following the Shabbat Morning Service. If you have a simcha to celebrate, a milestone you wish to mark, a Yartzeit to commemorate or a family member you wish to honor sponsoring a Kiddush is a wonderful way to celebrate this occasion with family and friends. Our Kiddush affords us a collective opportunity to share the news of the week, relax into the Shabbat tempo, and enjoy the warmth and companionship that emanate from our community. *These prices apply to regular Kiddush sponsorships. Any Bar/Bat Mitzvah or larger occasions please contact us to discuss your options.